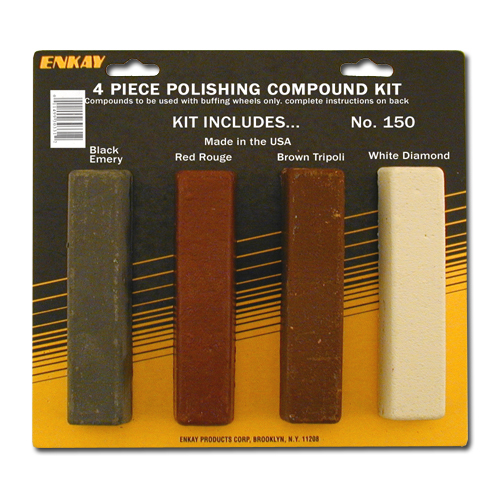 This kit provides the four most common polishing compounds. Great for basic polishing! Must be used with buffing wheels.